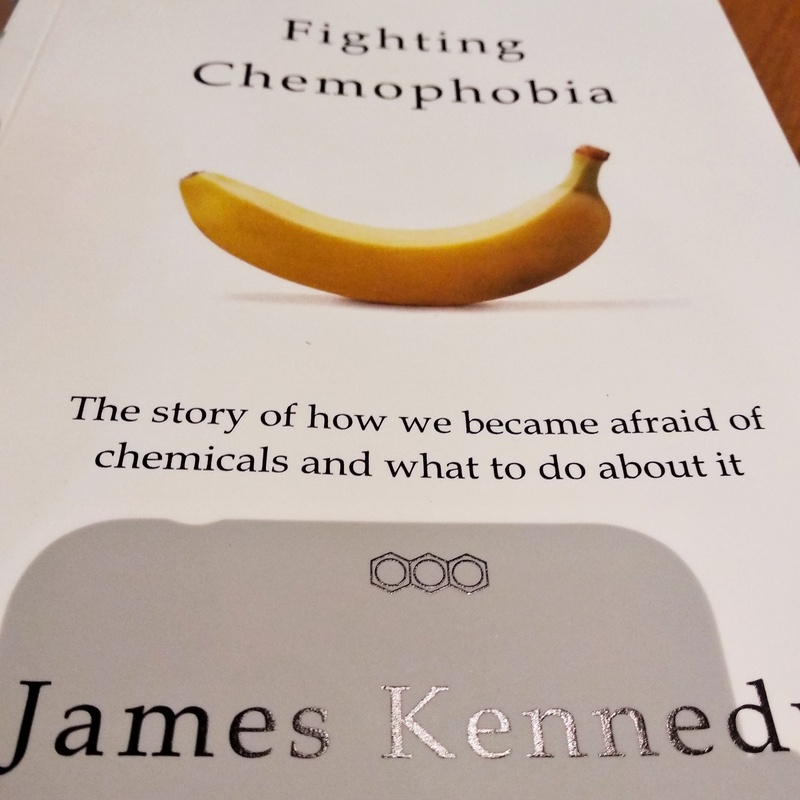 After several hurdles, I’m happy to announce that Fighting Chemophobia is now available on Amazon in both paperback and Kindle editions for international delivery. Amazon.com and three other independent online book vendors have signed up to stock Fighting Chemophobia. Buy your copy by clicking the links below – or search Amazon.com or your Kindle device for Fighting Chemophobia to download the book. Signed copies are of this new third edition are of course still available via this website. Click the PayPal link below to order your signed copy. I’ve been working on some exciting things in the last few months. Watch this space for teasers. 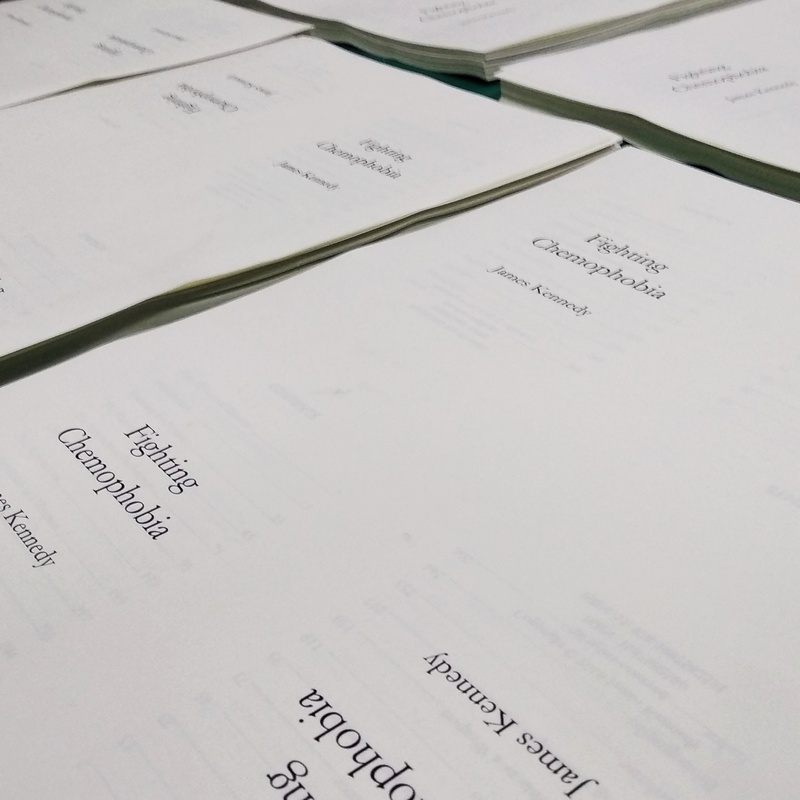 Second batch of Fighting Chemophobia is printed in Qingdao, China. The second batch of Fighting Chemophobia books are finished! After a long search, we have finally found two great companies for printing and distribution in China. Dianzan design and printing company has laid the book out with great care and precision and turned Fighting Chemophobia into an excellent-quality product in both hardback and paperback editions. The 80 gsm Dowling paper feels great, and there are even some full-page colour images scattered throughout the book. Shunfeng Express is handling cheap, quick shipping and is currently achieving 2-day deliveries within China. They predict 7-day delivery times internationally. This second batch is higher quality than the first. I’m sure you’ll love what these people have produced. Working with a publisher could have saved me the search for an editor, a printer, a distributor, a marketer and a translator. Self-publishing has been more rewarding in this regard: not only have I selected the people I’ve worked with to bring this book to completion but I’ve probably learned more this way about the process of writing, editing, printing, binding, marketing and distributing a book than if a publisher had handled the entire process on my behalf. You can buy your signed copy of the second batch of Fighting Chemophobia using the PayPal link below. Click subscribe on this page to receive future (approximately fortnightly) email updates. It’s been exactly three years since I uploaded the original banana poster. In 2014, I soon followed up with podcasts, radio appearances, press interviews, a T-shirt Store and twelve more fruit ingredient labels. 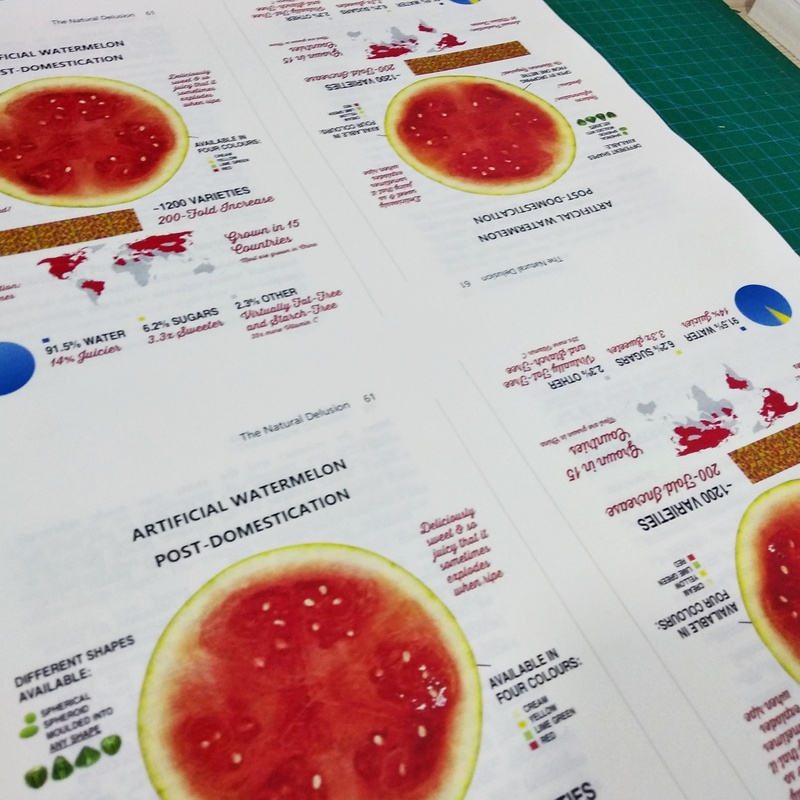 I’ve done six more customised fruit ingredients labels for private clients. The images have since appeared in textbooks, corporate promotional material, YouTube videos, T-shirts, mugs and aprons. Momentum built in 2015. Parodies emerged online, and a copycat image appeared in one Chemistry textbook. I started writing about chemophobia and consulting with experts on how to address the issue. In short, it’s very, very complicated, and has deep evolutionary origins. I set a goal to understand chemophobia and provide a roadmap to tackle it effectively. In 2016, my voluminous OneNote scribblings turned into a book. I have a first draft saved on OneDrive (thank you for keeping it safe, Microsoft) and I’ll be proofreading it on an long-haul intercontinental flight for you later today. My next book, tentatively titled “Fighting Chemophobia”, will be published in late 2017. More stories. Lots of true stories. To get your hands on a copy, subscribe to this blog for email updates. Just click ‘Follow’ somewhere on this page (its location depends on which device you’re using). I promise that throughout 2017, you’ll receive teasers, snippets and discarded book fragments via this blog to get you excited. Look inside the notebooks of any student who gets excellent grades and in most cases, you’ll find that they have a pristine notebook, too. Before you begin, make sure you’ve already started reading your textbook and have made gorgeous annotations inside it. Learn more about how to use a textbook. See examples of more great notes here. Now, follow these steps to transfer your notes to an A4 pad. This key learning exercise is suitable for Years 10-12 and undergraduate level. Always write in black or blue. Use the other colour to draw boxes, underline important words or make things stand out. Use a large, sturdy, lined A4 pad. Do not use notebooks smaller than A4, and do not use notebooks with cartoons or other distractions pre-printed on the pages. If the teacher gives you notes for their PowerPoint lecture, don’t use them. Make your own notes instead. You learn by making notes! Always write the date, title and subject in the same places on the page. It’s a simple rule but many students (especially in middle school) still don’t do this! Use the same subheadings as the textbook. Organise your notes by writing titles and subtitles. Use the same subtitles that your textbook uses, and summarise the essence each section into your own words (see tip #8). Do not try to keep your notes to one page per section. This will become very restricting in future. Add textbook reference next to the title. Always write the textbook page number in your notebook. If the teacher doesn’t tell you, just ask them for it. Use at least two colours. Colours guide the eye around the page. Use them logically: one colour for headings, another for questions, and another for definitions, etc. Only use legible colours such as black, blue and one other colour. Write mostly in black or blue. Summarise the textbook’s content into your own words. Include: important words and definitions; diagrams; mnemonics and things you need to memorise. Exclude: chapters not on the course; things that won’t be tested; and those superfluous information boxes that don’t help you to remember the important stuff. Add things at you learn from examiners’ reports to your notes in future (see tip #13). Write very neatly in easy-to-read, lowercase letters. Draw diagrams large and clear. Every time you draw a diagram, you need to label it and explain what it means. Keep diagrams simple enough that you can reproduce them quickly and accurately during an examination if you need to. Don’t print ‘perfect’ diagrams and stick them into your notes. Write notes using “examination language”. The definitions and explanations in your notebook should be acceptable to use as answers in an end-of-year examination. The glossary in your textbook is the best source for definitions of scientific words. Make sure you can explain the concepts learned in both colloquial language and in exam-specific language. Leave plenty of white space on the page. Don’t try to save paper! White space is crucial to making the notes easy to re-read so don’t cram your text onto the page: leave some white spaces where necessary (e.g. between paragraphs and in the margin). You will probably need to come back to your notes and add tips, definitions and facts that you learn from examiners’ reports later on (see tip #13). Your goal should be to use up every page of your notebook – not to save paper. Add to your notes using new knowledge you’ve learned from the textbook (and from class). This is why it’s important to keep your notes tidy and organised! Add comments from examiners’ reports. 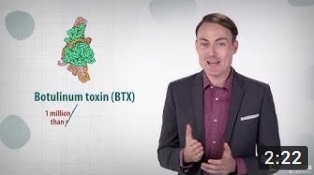 For example, “always write the ‘+’ symbol near the nitrogen atom on an amino acid in an acidic environment” would be a great comment to add (with a diagram) to the biomolecules section of your Chemistry notebook. This comment is paraphrased from a VCAA Examiners’ Report. Share your notes proudly with students who miss lessons. Email them or share them online. Re-make them into larger versions and put them onto your wall. This not only looks impressive but also reminds you to stay focussed as examinations draw closer. There are dozens of great note-taking tutorials on YouTube. Here’s one you can refer to for Science classes. Remember that the specifics of note-taking vary from person to person but keeping your notes complete, neat and organised should be one of your most important learning goals as a student. Any questions? Are you a student with note-taking tips? Leave a comment below! My own Year 12 Chemistry textbook. Does yours look like this? Anyone who’s spent time in a classroom knows that in any academic subject, the student who reads the textbook several times from cover to cover and makes colourful, organised notes all over it is going to excel in examinations. For this reason, I’ve been trying to get students reading their textbooks (and making great notes on them) almost as long as I’ve been teaching (since 2006). Glancing your eyes over the words in a textbook isn’t enough. How should you use a textbook properly, in any subject? There are six rules you need to follow. If you’re studying in a second language, or if you speak more than one language, it will help you to translate key terms into your first language in your textbook. Circle important new words and phrases in the textbook and write the words in your first language beside them. Vocabulary lists need to contain three things: the word in English, the definition in English and the word in your first language (if not English). Vocabulary lists relevant to the topic you’re studying need to be placed large in prominent places: your bedroom wall (if you’re a student) or on the classroom wall (if you’re a teacher). Build word lists and learn these vocabulary lists using spaced repetition software such as Pleco for iOS or ProVoc for Mac. These apps will quiz you on the vocabulary you’ve been reading at exactly the best time-intervals to ensure you beat the famous “Ebbinghaus forgetting curve”! Learning is consolidated further in your mind when you translate the notes you made in the textbook margins to make your own hand-written notes on paper. Make a first set of notes on A4 paper. Use a logical colour scheme and concise language and diagrams to consolidate the key information. Use the textbook as the basis for at least 90% for your notes, but also add information (no more than 10%) from other textbooks, news articles and examiners’ reports. Keep your notes safe, organised and visible. Hand-write your notes! Research has shown that people consolidate much more of the information they’ve read into their long-term memory when they hand-write their notes than when they use a computer to type them up. There are several theories that attempt to explain why: the most convincing of these are that computers can be distracting, that typing requires less hand-to-eye coordination than writing, and that typing is slower than writing (if we include colours, diagrams and large amounts of superscript, subscript and the special symbols required for Chemistry). Always hand-write your notes. Not all teachers give textbook references for the topics they’re teaching in class. But knowing the textbook reference is crucial if students want to review what they’ve learned after the lesson. How can you make your own notes or do further reading if you don’t have a textbook reference? Even worse, many teachers provide students with their own notes, summaries or PowerPoint slides that accompany a lesson. I’m strongly against this. Learning happens in the act of taking great notes, and a teacher who gives their students pre-made notes is depriving their students of the opportunity to learn. Learning happens in the act of taking notes, and a teacher who gives their students pre-made notes is depriving their students of the opportunity to learn.